Usually it is during seasons like this when one sector of the country’s population, the overseas Filipino workers (OFWs) are at their loneliest because they cannot come home as only a few of them make it to their homes in time for the Christmas eve. Many OFWs have to satisfy their longing for members of their families with the use of modern technology as they can interact with those at home through regular calls and by the use of modern mobile applications. But this very sector of the Philippine society is considered among the biggest contributors to the country’s economy. Based on the report of the Bangko Sentral ng Pilipinas in July, OFW remittances in the first five months of the year went up 6.1% to $2.7 billion compared with the same period the previous year. This fund source has become the boon to many industries, particularly retail and real property development. But because of its size, it has also impacted a lot on others like services, education and even tourism. It is in the real property industry where its effect is more profound. In some instances, developers have to tweak their projects to suit the need of the sector in order that the impact on its bottomline is significant. Many housing projects in the city at present, including the vertical ones, are drafted with the families of OFWs in mind. Ricardo F. Lagdameo, vice president of the Damosa Land Inc., the real property arm of the Floirendo group, said that a huge chunk of the company’s revenues comes from OFWs. “About 40% of buyers in our projects are OFWs or their families,’ said Lagdameo whose company is developing a six-building condominium project and its three-hectare high-end subdivision Fairlane, a development named after the village where the late founder of Ford, Henry Ford, lived. For the uninitiated, the late Don Antonio O. Floirendo was among the first dealers of Ford vehicles in the country. Lagdameo said many OFWs, particularly those who have been living in their host countries, have bought homes and units in the projects where their families either live or being used for vacation. In the condominium project, the company has two develop a two-floor unit based on the specification of some OFWs who want to their units to look and feel like a normal house. In some cases, said Leonora Gutierrez of Suntrust Properties Inc., one of the subsidiaries of Megaworld Corp., said that some families of OFWs from other cities in Mindanao have even secured units in the company’s first condominium project in the city, the One Lakeshore. “Some of these people have bought units here so their children can study here because the city has better learning institutions,” Gutierrez. 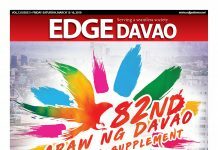 It is because of this that the company has even sent its salesforces to other parts of Mindanao to convince the families of these people to buy from its project. Families of OFWs are also known to splurge on their needs as they do not want their kin to feel what they felt when they had nothing. This has driven companies that are into retail to set up malls in key cities like the Davao and General Santos. For example, in General Santos City one mall developer decided to set up its branch in the city after the company noticed the huge inflow of remittances, aside of course from the income out of the fishing industry in the city. These two industries have also become the catalyst that lead companies to build new businesses. In the city, several Manila-based schools have decided to set up their campuses as they want to get a piece of the market.